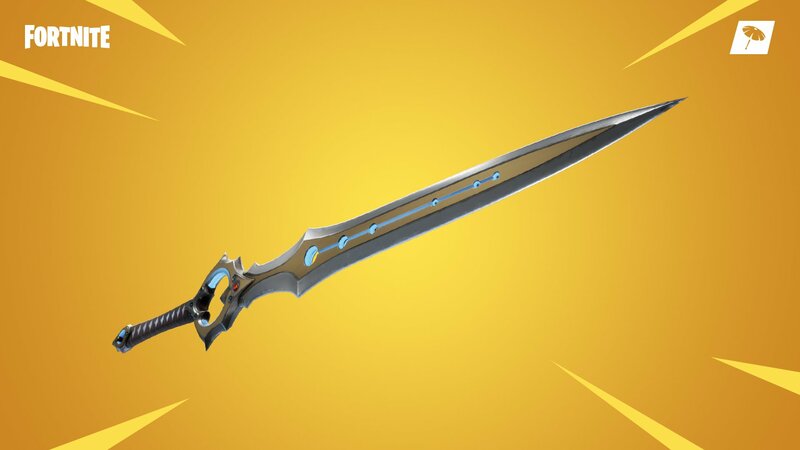 Epic Games has removed the new Infinity Blade sword from Fortnite, thanking fans for calling them out on what's widely considered an overpowered weapon. "We messed up," a recent tweet from Fortnite developer Epic reads in an unsurprising acknowledgment of the madness created by the Infinity Blade. The recent addition of the Mythic item to Fortnite Battle Royale has caused a huge stir, and it looks like players won't bee seeing it again any time soon. Even before anyone had even laid hands on the new Infinity Blade sword, players had concerns about its balancing within the game. It was first introduced as of patch version 7.01, and not only did it do considerable damage in close-quarters combat, it granted an increased health and shield pool, regenerated health, increased movement speed, negated fall damage, and took down structures with ease. Given how many players were having fun with the Mythic weapon, Epic did at least make an attempt to balance it. The team announced an upcoming adjustment for the weapon just yesterday, promising that the Infinity Blade would get nerfed in update 7.10. Apparently that plan fell by the wayside in the grand scope of things, and the two-weeks-young Infinity Blade is now consigned to the darkness of the vault. Further, given the extremely mixed reception to the blade, the crew at Epic are now re-evaluating the need for Mythic items in general. It's been an interesting two weeks for Fortnite players, to say the very least. Now that the new Infinity Blade sword has been removed from Fortnite, fans should expect some semblance of order to return in Epic Games' hit battle royale. To stay on top of the absolute latest developments, be sure to stop by Shacknews' Fortnite home page.